Conscience – Will You Let God Set You Free!? Romans 1:16 states emphatically that a true Christian is NOT to be ashamed of the power of God revealed in our lives. But…..really how many of us actually live conscious of that fact? I’d bet good money that we don’t even think about the fact we live like we are ashamed every day, not willingly so much as selectively. We avoid situations that place us in the way of telling others about our savior before we actually get into them thus telling ourselves it wasn’t God’s will to speak to them. We justify simple moves to avoid the bigger issue of spreading the Gospel of power. The power of God is ONLY REVEALED THROUGH US WHEN WE SPEAK ABOUT JESUS AND HIS GOSPEL. Not only that but the righteousness we THINK we have in Christ is directly tied to the preaching of that same Gospel releasing freedom into our lives, so if we become ashamed of that power in ANY WAY we by extension deny God’s power. Now…think about this very carefully, BOTH the righteousness and the power of the Gospel to save us from sin, are tied to NOT BEING ASHAMED of it. Doesn’t that indicate clearly that the majority of so-called salvation’s are hinging upon a proper understanding of this concept? What is “Holding the Truth” in an unrighteous way? Could it possibly mean THINK YOURSELF to be saved while AT THE SAME TIME BEING ashamed of the Gospel. The two are oxymoron’s, one cannot be saved and ashamed according to scripture, they are mutually exclusive. Could this be the reason most religious people are deceived? Could it be the reason religions create false premises concerning salvation’s rules to cover for this obvious infraction against God? The just shall live by faith and in order to live by faith,…God’s version of faith in Hebrews 11:1 you must not be ashamed of Gospel because it counter acts what true faith is! True faith cannot be revealed as the overcoming power it is, if you are constantly countering it’s power in you through your personal embarrassment of what it represents. Religious people only believe what their church tells them to believe, they are in effect trained to understand only a limited experience. Their faith is NOT BIBLICAL and thus not able to overcome the world system around them, which is why man-made religions cannot save us! True biblical faith CONTAINS certain ingredients that average everyday faith does not, it has substance and evidence contained within it ready to be released through our lives as we believe, that produces everything religion cannot but being ashamed countermands it’s effect. This is called being double minded in scripture. We can CURE our double mindedness by simply getting as close to God as we can, and as far from man-made ideas as possible. We then create an atmosphere where pure biblical faith can grow, sprout and reproduce itself in our lives. This is the true Christian faith in action not the fake religious version we all go to church and see. True Christianity is nothing like we see today, of course some things are but that is how we become deceived, we think we are serving God but all the while we are simply serving our own selfish needs, masking them over with religious duties. Religion is the single most reliable source of Atheism in the world, why? Because it is a never ending well of excuses why God cannot be real. Religion gives lip service to everything real making it powerless before the world. Religion takes everything the bible says and diminishes it’s viable power through traditions created in the minds of mere men, totally powerless traditions! Man’s religion is our greatest err from the truth we could have ever committed against God, we have settled for demonic counterfeits rather than biblical truth. We have replaced his power for a powerless pile of dogmas. Do we really think God could be pleased with our lack of power? Eternal life means just that, it is life that is SELF-REPLICATING, UNABLE TO DIE not simply unwilling to as the natural life of man is. This water from the well of God himself cannot be overcome, cannot be polluted by the world’s ways, cannot be what religion wants it to become…..weak and unobtrusive into the affairs of men! God has provided us with a power so great that it’s painful to watch how the church has thrown away that power to BLEND IN WITH THE WORLD it’s supposed to be saving from it’s sin. Do we really believe that God will put up with us as mere shadows of what we are supposed to be? life; and I will raise him up at the last day. For my flesh is meat indeed, and my blood is drink indeed. The Church’s power did not end in the forth century it was merely put to sleep by religious unbelief and only awakened periodically over the centuries in revivals that God caused to awaken his bride to be. But for us to believe we are his church we must believe his word to us, his true description of his body. That and that alone is our reflection not the weak religions ideas of what the church is! Human beings have a bad habit of accepting the easiest solution to a problem instead of digging for truth as God requires of us! Think about it, would the God of creation really give up all he had to give up just to produce a powerless religion that believes in nothing and accomplishes nothing of import? Would Jesus really want what we know of as the Christian religion to take over the world? Come on people wake up, religion is the poorest excuse for faith and belief that has ever been invented. For heaven’s sake, it’s created more unbelief that all the Atheists combined over the century’s so why do we think for a moment that God is even in our worthless religions? 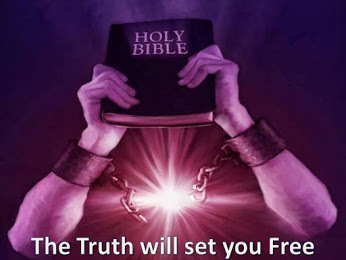 If we do not obey to the letter what Jesus commands we are not true believers, the truth cannot set you free if your view of it is warped from what it truly is. Truth is not really truth if all it is, is your personal opinion and not God’s word. The Bible is not a book of suggestions it’s a directional instruction for living life as God requires and e do not get a choice on that! Being ashamed of God is not a hard thing to do, it shows itself at every disobedience, every time your opinion trumps God’s direction, every little fear or pandering to the world’s ways creeps in……you are ASHAMED AND YOU SHOULD BE ASHAMED of being ashamed because he gave more than any human being on this planet, past, present and future. Mountain Moving: The Doctrine of powerful Faith Vs. Open Season by Heresy Hunters! that it would be a shame to lose them! by Kenneth Copeland is now in an E-Book (Adobe Acrobat) format and is available for download absolutely free. This one stop site lists almost every Charismatic Ministry you could think of. I have downloaded and installed several free electronic Bible programs and this is by far the best one yet. As a matter of fact, this beats many of the expensive Bible Study software programs you can buy in a store. It’s a large program and will take some time to download along with the additional study tools but believe me when I tell you that it is worth the time. If you don’t like the download wait time you can purchase a CD from the author for a reasonable price. More excellent free Bible study software. Although I still prefer E-Sword (for personal reasons), The Word has more commentaries and books that come with it’s program. However, most of the books are written from the Reformed Calvinistic perspective. Still worth downloading and you can choose which books and commentaries will go with the program. Also check out the User Made Commentaries section for downloads for The Word not directly available on the software’s main web-page. Free Bibles and Bible study software by Brent Mauer. Comes in Windows or HTML format and has many features. You can even download for a Palm Pilot. Browse through the web-page and download the program. After all, it’s free. Most apologists’ are from a background of Cessation Theology. cults we all know of. Hersey Hunters don’t have a clue as to REAL HERSEY! Apollos; and I of Cephas; and I of Christ. Is Christ divided? was Paul crucified for you? the faith teachers HAS NEVER FAILED ME! THE FINISHED WORK OF JESUS. OF THE MESSAGE BUT OF YOUR RECEIVING THE RESULTS! with garbage and then turn around and call it godly! faith works both FOR the believer and FROM God! A.) Breaking Covenant with the Almighty: Having Relationship with God! B.) How can we overcome the World if the World has overcome us! C.) The Faith of a Child: Knowing God as a Child! D.) Cultic Dogmas or Good Doctrine: Can your perception of Doctrine influence your Eternal Destiny? Faith has been completely misconstrued by critics of the Faith movement, not because they can’t read the Bible at least that would be an excuse for this silly idea that our GREAT and Mighty God wants us to be POOR, SICK, AND DEPRESSED. It’s a very dangerous idea that has been swallowed hook, line and sinker by false religion and denominational Churches, the REAL FALSE DOCTRINE IS THIS NOT THE FAITH MOVEMENT! Careful Hunters your horns are showing! Shouldn't your good doctrine produce a Loving heart that questions rather than attacks? It seems the "Faithers" have real love and you don't...hmmmmm! These passages show us that there is a definite need for the true apologetic ministry in the church. The early church fathers such as Iraeneus, Origen, Chrysostom, Polycarp, and others spent quite a bit of time defending the truth of Christianity against the well-known heresies of their era. These men were true apologists in every sense of the word. Even before them, Paul, John, and the other early apostles had to continually defend the truth against the error that crept into the church. Though I may not have always agreed with him, Walter Martin, the founder of the Christian Research Institute, was a true apologist. God raised up such a man when the American scene was becoming so filled with cults that it became difficult to distinguish them from Orthodox Christianity. His landmark book, Kingdom of the Cults, provided us with sufficient information on the different cults in America and how to deal with them. Nevertheless, there comes a fine line between the valid ministry of an Apologist (one who is defending the faith given to the church) and the need to search for something to use against those you may disagree with theologically in order to make them appear cultist and heretical to the general public. The latter is a Heresy Hunter. Heresy Hunting has become a cultist practice unto itself and the purpose of this essay is to show the reader the invalidity of such a practice. I will show you seven tactics that these people use in their vendetta against those they do not agree with. I will especially show you how these tactics have been used in the attacks against the Word of Faith movement. The heresy hunters seem to enjoy labeling those that they theologically disagree with as “cultic, heretical, etc.” The Word-Faith movement has been labeled a “metaphysical” movement when their has been no trace of metaphysical teaching within this group. We have also been called “Gnostic,” “Universalists,” “Eastern Mysticism,” and a host of other names. One web site labels Marilyn Hickey as the “fairy God-Mother” of the Word of Faith movement. The heresy hunter even like to falsely label themselves. Many of them say that they are Pentecostals or that they are Charismatics. They do this so that they can be accepted among these particular groups while still attacking everything uniquely Pentecostal or Charismatic. They do this in order to turn the hearts of Pentecostals and Charismatics away from the essential truths that distinguish these two movements. The unfortunate thing is that it has actually worked. Many Pentecostals and Charismatics treat their Word of Faith brethen as if they have been sprayed by skunks. They now do everything to separate them from their groups. Many of the heresy hunters say that they are members of Assemblies of God churches or affiliated with “Charismatic” churches such as Calvary Chapel. Would Jesus call people nasty names or would he Love them away from bad doctrine? The ONLY people he called names were those who REJECTED HIM and his teaching not those who quoted him and lived accordingly! Yet, when you listen to them talk they often sound like Hyper-Calvinists and Cessationists. It’s a shame because the same criticism that they make against the Word-Faith and other movements were made against the movements that they claim to be affiliated with. “emphatically not of God and founded by a Sodomite”. That Pentecostalism was initially successful cannot be gainsaid. It seemed to be scripturally oriented and appeared to be the answer to the prayers of countless thousands as the revitalizing force needed to combat spiritual lethargy which they had felt had engulfed the religious world of the twentieth century. Within a short time, however, the Pentecostal revival became the object of scurrilous attacks. It was denounced as “anti-Christian,” as “sensual and devilish,” and as “the last vomit of Satan.” Its adherents were taunted and derided from the pulpit as well as in the religious and secular press. Some leaders were actually subjected to violence. I suppose now that many Pentecostal denominations have established a certain amount of “respect” in the evangelical community, they would not want to be associated with a movement that is being rejected by the community at large. It is recorded later that the American Assemblies of God, a major Pentecostal denomination, rejected what is known as the Charismatic movement. Those who were Assemblies ministers who approved of this movement lost their ministerial credentials and were disfellowshipped from the AoG. Two of the more well-known are David Du Plessis and Ralph Wilkerson. Is this not a case of the persecuted becoming the persecutors? Centuries before this, John Calvin and Martin Luther were persecuted for discovering the truth of “justification by faith.” Once this truth was established, Luther persecuted the Anabaptists because they felt the need to bring further Biblical reforms into the church. Muller was one of the greatest men of faith and greatest example to the church in how to put our full trust and reliance upon God. Because of this apparent success in prayer, he is labeled a medium and the “spirits” (presumably “demonic” spirits) are given the credit for the provisions that he received. Muller is now respected in both Charismatic and Evangelical churches and is often used as an example of the kind of faith that is needed to do the work God has called us to do. However, there were some that wanted to imply that he was embracing “spiritualism.” Is it any wonder that in our day our major faith teachers who have demonstrated faith in God are made to look “cultic” by those who disagree with them? John the Baptist was labeled as demon possessed, and Jesus was called a few other names. Later on Jesus Himself would be accused of being in league with the devil (Matt. 12:23-26). So God Himself, who came to earth to shed His precious blood for all men is being labeled a man who is in league with the devil whose works he came to destroy (1 John 3:8). placed us in the same company as our Lord Jesus. Word-Faith movement should be thankful for this minor persecution. Study the BIBLE not each others views on Faith to be approved of God! This is an attempt to misconstrue the original intent of what the person was intending to say or trying to convey. It is equivalent to what many do in the secular media. The secular media uses soundbites, half quotes, and one-sided approaches to give the appearance of “evil” to the watching public. The secular media has been quite successful in destroying businesses this way and even a few ministries. The heresy hunters have done an excellent job of incorporating this tactic in their attacks on the Word-Faith and others they disagree with. Although there are enough books that one can buy that gives plenty of examples of this particular heresy hunting tactic, one need not waste his or precious hard-earned dollars. There are enough examples on the world-wide web. Notice all of the “…” used in this misquotation of Hagin’s teaching. Those “…” show that the person quoted was not fully quoted. If I had never read Hagin’s books and this was the first quote I ever read by him, I would stand against his theology too. I would shout “heresy” along with the rest of these heresy hunters. What does this verse mean? It means that everyone of us who has been born again and has received the life of God has come into a kingly state. We are accepted by God to reign as kings in life. We are no longer servants in the realm of spiritual death, but we have passed out of death, Satan’s realm, into the realm of the heavenlies. Man was never made to be a slave. He was made to reign as king under God. He was made on terms of equality with God, and he could stand in God’s presence without any consciousness of inferiority. That means that God has made us as much like Himself as possible. He made us in His image. He made us in His likeness. He made us the same class of being that is Himself. He made Adam with an intellect of such caliber that he could name every animal, vegitable, and fruit, and give them names that would describe their characteristics. When God could do that with man, man belonged to the realm of God…..
Notice that Mr. Hux neglected to deal with the Scripture passages that Hagin used. Notice also how Mr. Hux totally misinterpreted Hagin’s message. Hagin was not demoting God and elevating man as Mr. Hux would imply. Hagin stated that man was God’s understudy. Does this sound as if Hagin was promoting man to a higher level than God? Hagin was simply teaching the level on which God created man. Take Psalm 8:4-5 for example. There are a host of Bible translations that state that man was made a little lower than God. centers on passages in Psalms 8:4-5; Heb. 2:7; Psalm 82:1, 6, and John 10:35. The KJV took the Hebrew word “Elohim” in Psalm 8:5 and translated it to “angels” instead of God. I understand that it was also translated this way in the Septuagint, which is the Greek version of the Hebrew Scriptures. Many Bible translations have decided to translate the Hebrew word correctly. Among the older ones are Revised standard version, Young’s literal Translation, American Standard Version, Hebrew Names Version, World English Bible, and the Amplified Bible. Among the newer translations that quote it this way are God’s Word To the Nations translation, Contemporary English version, New Living Translation, and Today’s English Version. These all speak of God creating man a little lower than Himself vice creating man a little lower than the angels. Therefore, Hagin was simply stating that man was created in God’s image and has a higher place than the angels and other created beings. In this sense, Hagin is teaching that man was created in God’s class. Further more, Hagin was simply teaching the truth that we are members of Christ’s body. He was not teaching that each Christian is the Messiah Himself. He was teaching that we are a part of one body and that we have a place and position in Christ that we often do not recognize. Besides, Mr. Hux neglected to include Hagin’s proof Scripture (2 Cor. 6:15) as well as Hagin’s full statement. Hagin was by no means teaching that God was a big man and that we are on His level. Sometimes change hurts so bad we can’t experience beyond our bowls no matter how long we hear the truth! Used to compare the statements of well known faith teachers against those of well known heretics and/or cultic leaders. These statements are often taken out of context. One web site does this by quoting major faith teachers out of context and then compares their statements to those of Mormon leaders such as Brigham Young and other Mormon leaders. It’s an endless charade. Faith is a Force (like Starwars). I am giving you the exact quote as it was written on this website which is supposed to be a compilation of “erroneous” quotes from Word of Faith teachers. I am absolutely sure that the “like starwars” insertion in the parenthesis was not from the person quoted, but the interpretation of the quoter. The Heresy Hunter will add or take away from the words of the faith teacher in order to make the faith teacher sound heretical. Many grand deeds have also been born of faith, for faith works wonders. Faith in its natural form is an all-prevailing force. God gives salvation to our faith because He has touched the secret spring of all our emotions and actions. Now what “heretic” would make a statement like that? Long before the so called New Age movement, and long before the popular Star Wars movies (long before movies, period), Charles Haddon Spurgeon (1834-1892) made the above statement. You will be surprised at the statements these men made that would be considered “heretical” in today’s heresy hunting atmosphere. Faith is the mightiest of the mighty. It is the monarch of the realms of the mind. There is no being superior to its strength, no creature that will not bow to its divine prowess. The lack of faith makes a person despicable; it shrivels him up so small that he might live in a nutshell. Give him faith, and he is a leviathan that can dive into the depths of the sea, a giant who takes nations and crumbles them in his hand, vanquishing hosts with his sword and gathering up all the crowns as his own. There is nothing like faith. Faith makes you almost as omnipotent as God, by borrowed power of its divinity. Give us faith and we can do all things. Now is that heretical by today’s standards or what? Is this any more heretical then Copeland saying that faith activates the force of God? So perhaps Spurgeon and modern day faith teachers were heretical. Was Jesus heretical when He said that “all things are possible to him that believes” (Mark 9:22-23)? Was Paul heretical when he compared faith to a “shield” (Eph. 6:16)? I have no doubt that Copeland had no intentions of implying that faith was something similar to the star wars force or the New Age definition. Faith is a weapon or force that can be used in resisting the devil (1 Pet. 5:8-9; James 4:7). Was Jesus speaking of a “metaphysical force” when He made this statement? No. The word “force” used in this passage comes from the Greek word Biazo. According to Vines dictionary this word can be translated to be “….expressive of the special interest which the doer of the act has in what he is doing.” It can also be synonymous with violence. Paul tells us, “For the kingdom of God is not meat and drink; but righteousness, and peace, and joy in the Holy Ghost.” (Romans 14:17). Perhaps when Copeland speaks of the force of righteousness, or the force of Joy, or the force of faith, he is speaking of taking the kingdom of God by this type of force. Or perhaps he meant it as a comparison to the “force” of electricity as F.B. Meyer did in one of his sermons over a century ago. Comparing Copeland’s words to a well known cultic antiChristian group or to a popular science fiction movie and not take other, more orthodox references into account is totally dishonest on the part of these heresy hunters. They should be ashamed of themselves. After quoting a person out of context, and then comparing the person’s statement to a well known cult leader or heretic, the next step is to make a false implication concerning what the individual teaches. The interpretation of a statement by the Heresy Hunter is usually never what the writer/preacher originally meant to convey. Then answered the Jews and said unto him, What sign shewest thou unto us, seeing that thou doest these things? Jesus answered and said unto them, Destroy this temple, and in three days I will raise it up. Then said the Jews, Forty and six years was this temple in building, and wilt thou rear it up in three days? But he spake of the temple of his body. Now the chief priests, and elders, and all the council, sought false witness against Jesus, to put him to death; But found none: yea, though many false witnesses came, [yet] found they none. At the last came two false witnesses, And said, This [fellow] said, I am able to destroy the temple of God, and to build it in three days. And the high priest arose, and said unto him, Answerest thou nothing? what [is it which] these witness against thee? (Matthew 26:59-62). E.W. Kenyon wrote, “We have sung ‘Nearer the cross’ and we have prayed that we might be ‘Nearer the cross’ but the cross has no salvation in it. It is a place of failure and defeat” (Advanced Bible Course, p.279) [emphasis mine]. As usual, the others merely echo Kenyon’s ideas about this. “May I never boast except in the cross of our Lord Jesus Christ” (Galatians 6:14). “I decided to know nothing among you except Jesus Christ and Him crucified. The message of the cross is foolishness to those who are perishing but to those who are being saved it is the Power of God” (1 Corinthians 1:18) See also Ephesians 2:16; Colossians 1:20 and 2:15. The conclusion we draw from this misquote of Kenyon’s work is that Kenyon has no regard for the sacrifice of our Lord Jesus Christ. Sounds almost similar to a Rev. Moon philosophy (I’m surprised that this apologist did not use this “comparison” method). If Jesus had gone no further than dying on the cross, no one have ever been saved through Him. There is no New Birth, no New Creation, in the dead Christ. We have sung ‘Nearer the cross’ and we have prayed that we might be ‘Nearer the cross’ but the cross has no salvation in it. It is a place of failure, a place of death, a place where Jesus was made sin, a place where God forsook Jesus, turned His back upon Him after He had made Him sin. It was a place where Satan had apparently won a victory over the Man who had ruled him for three and a half years. So for us to sing, “Jesus, keep me near the cross,” is for us to be kept near failure and defeat. No, there is no salvation in a dead Christ or a suffering Christ hanging on the cross. Many who read this will feel shocked because they have worshipped a dead Christ. Had Jesus stopped, had He gone no further than the cross, we would never have heard from Him. You see, the disciples only understood what the physical senses registered, as they gathered about the cross and watched Him in His death throes. The next picture of Jesus is the one that has brought life and light to the human race. It is the Resurrected, Ascended, and Seated Christ. So what was Kenyon teaching here? He was teaching that so many focus on the death of Christ and do not focus on His RESSURECTION and EXALTATION. They look at the DEATH of Christ but overlook the other aspects. They forget He is no longer on the cross. Kenyon was teaching people to get past the cross and move towards the resurrection and ascension. The cross was a necessary part of salvation but Kenyon is teaching here that the death of Christ would mean nothing had He not been raised from the dead and seated at the right hand of God. In a paragraph above this, Kenyon relates the story of how he saw a picture in the street of Christ dead on the cross. This seems to be the only picture of Christ that has been in the minds of many in the church. I remember before I received Christ as my personal savior, my girlfriend sent me a cross. I thought I would impress my friend, who was a true born again Christian by showing him. When I did, he said, “Troy, Jesus is no longer on the cross.” Those words struck me. As far as I know, this man was not a Word-Faither. He was Protestant. Christ is no longer in the grave. He has risen. This aspect of Christianity is what separates us from Islam, Buddhism, and a host of other world religions. It is not as Rev. Moon stated (that Christ failed) but the resurrection proves that Jesus was SUCCESSFUL. He was victorious. The cross was the climax of love in manifestation. There is no love without action. It is not love until it acts. Love was unveiled on the cross. That God Man who hung there had come of His own volition. He was not a martyr; He was a supreme lover. Kenyon believed that the cross is where Jesus bore our sins. Kenyon certainly believed that the cross was a necessity. The reading of several of his books would affirm this. The references are too numerous to quote. However, Kenyon believed strongly in the message of the cross. He simply wanted his readers not to stop there and settle on the cross but to go beyond that to the resurrection and the ascension. However, the modern day apologists will not tell you that. This is an attempt to make a person believe that the group that they are attacking is a real threat to present day Christianity. In other words, the said group or doctrine along with it’s teachers and adherents is causing a real “Crisis” with Christendom as we know it. Unless these “heretics” as they are labeled are done away with, the whole foundations of Christianity will be destroyed. What really gets me is one internationally known heresy hunter who claimed that the Faith teachers were causing a Crisis in Christianity was the same one to criticize other brethren (although I agree he was correct in doing so) for using sensationalism to promote the Y2K scare back in 1999. If only this same “apologist” had followed his own advice about sensationalism to sell books. JUST LIKE AIDS…The Christian Church is Being Destroyed from Within!” This is in reference to the Faith movement, of course. Is God not able to remove a “cancer” or “AIDS” from His own body (The Body of Christ)? This type of sensationalism is used quite often in the secular media to stir up viewer’s emotions. The Heresy Hunter has skillfully adopted this technique in his war against the Faith Movement. What good Christian would not want to remove AIDS from the body of Christ? What good Christian would want to keep the church from being destroyed from within? 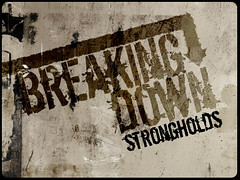 God is fully capable of keeping His church from being “destroyed from within.” However, the Heresy Hunter must use such sensational tactics as Christianity being in a “Crisis,” or that the Faith Teachers are preaching a “different” gospel, or that we have become a “cancer” or “AIDS” in the body of Christ. Sensationalism sells books. Non Christians often use this tactic but unfortunately so do Christians. In 1988 the Christian bookstores sold a book titled 88 Reasons Why Christ Will Return In 1988. The book sold well and it also disappointed so many people when their expectations were not met. We mentioned the Y2K scare earlier. So many Christians “prophesied” about the disasters that would occur when the clock struck twelve midnight due to the negligence of our major computer programmers to figure in a four digit date into all of our computerized appliances. Many of these same people sold shelters and survival kits. I am sure that the reader remembers that the impending doom did not occur. Unfortunately, the Charismatic movement that I have aligned myself with has been guilty of sensationalism. In the 1940-50s during the healing revival we have often sensationalized this wonderful provision of God with our flamboyance. This gave a bad name to healing. The 1970s gave us some insight into deliverance from demonic possession but again, the church moved into sensationalism, giving the deliverance ministry a bad name. Even now so many of our brethren are using sensationalism to promote their ministries. We could write volumes on how “satanic ritual abuse” sensationalism has promoted the ministries of some (and has also caused their downfall when the truth about them were exposed). Then there was the “Illuminati” sensationalism. The church seems to have our own “conspiracy theories.” These are just a few examples of the sensationalism that has reared its ugly head in the church far too often. The sensationalism has not been limited to the Charismatic movement. We have seen that the evangelicals have done well in this department too. The Heresy Hunters have especially been good at this tactic. Many of them attack anything and everything that they do not agree with and will use any way possible to get the attention of the church. Some of them have a desperate fleshly need for this attention. Many times people ride the waves of what seems to be popular. Word-Faith bashing has been very popular for the past twelve or so years. Before that, many people were teaching “faith,” “discipleship,” and “deliverance.” To them it was a fad. They were riding the waves of it’s popularity. Now many of these same people have become the staunchest critics of these doctrines. It’s no longer fun to them. It’s not the “in” thing anymore. Word-Faith bashing is now the “in” thing and they must ride the waves of opportunity before the next fad. It is so sad that when God reveals a truth to His church and people begin to walk in light of that truth, others seem to come along only for the ride, or for the sensation and thrill of the moment. The real test of whether you believe any truth from God’s Word is when that truth and its adherents come under attack and persecution. That is the time that we see whether a person truly believed what he was taught or preaching or whether he or she was riding the wave of sensationalism. Many preachers turned from the Faith movement due to the books written against it. Many of them have endorsed the books and believe that simply because they were once a part of this movement that they are now experts. Sensational wave riders are not experts. They were only on the train for the ride. They did not get grounded in the true principles of faith teaching and some of them were probably the biggest propagators of it’s excesses. That’s the result of just coming along for the ride. We will see what happens as this wave of Word-Faith name calling popularity begins to die down. What train will many of these men and women hop on next? 6. Theological Prejudice/Bias in interpreting proof texts of those that they disagree with. If Word-Faith (which is primarily an Arminian movement) interprets Scripture from and Arminian viewpoint, their accusers will use the Calvinistic interpretaion. If Word-Faith interprets a passage from a covenantal viewpoint then the heresy hunter will use the dispensational argument to refute those that they oppose. In other words, the Heresy Hunter uses whatever method he possibly can to prove to his listeners/readers that those whose ministries they wish to destroy are wrong and heretical. There are those who feel that one MUST embrace a particular theological system (either Calvinism or Arminianism) and stick only with the tenets of that system or they are in error. Unfortunately for the heresy hunter, Word-Faith and other Charismatics have defied such logic by seemingly incorporating a mixture of both theological systems in each case. My eagerness for answers was soon satisfied, for I received a book from John MacArthur, Jr., that addressed many of the concerns I had — _and he used Scripture._ I then purchased a book by G. Campbell Morgan, and was given still another book by Dr. Martyn Lloyd Jones. For the first time, I felt I was eating real spiritual food. The Bible was coming together at last, and I saw clearly that God was a _personal_ God and not just a bunch of spiritual laws to tap into. Notice the writings that had the major affect on Beard’s theological perspective. I am not as familiar with Martin Lloyd Jones (though I am told that he supported the Charismatic movement) but I can certainly show the reader the anti-Pentecostal and anti-charismatic bias of the other two writers. In case the reader is not informed, John MacArthur is the pastor of one of the most thriving Reformed Calvinist churches in this nation. He is also the author of a popular book titled Charismatic Chaos, a book that criticizes everything Charismatic. MacArthur is well known for his cessationist theology. We soon accepted a position as associate pastors and Bible school directors in another state and shoved off to put to use all we had been taught. To prepare for my Bible classes, I studied for hours in the Bible alongside the writings of A.W. Pink. (No, Rhema did not endorse or promote the writings of Pink.) This was probably the best thing I had going for me. After a few months of Pink’s writings conflicting with my Rhema theology, I knew I needed some answers. Notice that Pink’s writings conflicted with “Rhema theology.” I have read Pink’s writings and I have been blessed by them. However, “Rhema theology” as Mr. Beard refers to it comes from an Arminian/Wesleyan/Holiness/Pentecostal background (in spite of what the critics say). Pink, like MacArthur and probably Morgan are from the Calvinistic/Reformed/Cessationist background. This is not only a CONFLICT, but a MAJOR one. I have no problems with people changing their theological position. That is their perogative. What I have a problem with is Word-Faith critics who pose as Charismatics/Pentecostals and yet embrace theological positions that conflict with the labels they claim. There is nothing wrong with a person reading the writings of those with opposing theological views. I have done this and continue to do it. However, if these views are in conflict with one’s foundational teachings, would it not be better to refer to the Scriptures to bring the understanding you need rather than totally throw away your foundation? The book that was reviewed is titled, Man as God: The Word of Faith Movement, was written by Curtis Crenshaw, an associate of John MacArthur. Notice that the CRI reviewer acknowledges that the book was written from the reformed perspective and found the book to be at it’s “best” while refuting the Faith teachers from the Scriptures (but thankfully the reviewer felt that the metaphysical and New Age connections were weak). The Word-Faith critics have portrayed themselves as Pentecostals and Charismatics while at the same time blasting anything that was birthed from this movement and endorsing the writings of nonCharismatics. By this portrayal, these critics have successfully turned the hearts of other Pentecostals and Charismatics against the Word-Faith movement. I have noticed in my conversations with ex-Word of Faith people that the majority of them embrace Reformed theology. In most cases they may add certain Charismatic distinctives. Nevertheless, while rejecting the Word-Faith movement they usually reject all Arminian/Wesleyan views and totally embrace Calvinism – minus Calvin’s cessationism in most cases. Many who embrace Calvinism believe that Calvinism is the gospel and that the five point Calvinistic system of Bible interpretation (known as TULIP) is the correct way to interpret the Bible. Any other method is believed to lead a person into error. Not all become critics of the Word-Faith. Many of them are thankful for what they have learned from the movement. Unfortunately, too many others who leave the movement become critics of it and build websites and write books and pamphlets against it. While criticizing the faith teachers for being “arrogant,” they show their own arrogance by their pride in their “theological” position. Think John would have been branded a heretic by today’s theological standards? Simply because Jakes does not use the “correct theological” wording acceptable to Buckner and Hanegraaf, he has become a heretic. Ministries such as Buckner’s and CRI feel that if one is not embracing theology as they believe it, then they are not adhereing to the “right” theology. Does Embracing The “Right” Theology Make One Superior? People, especially religious men, who are bound and blinded by their own theological beliefs, will see only what they are looking for as they search to prove that their theology is right and what others believe is wrong. The sad part is they dishonestly twist and use whatever they can, true or not, to make their point, all in the name of religion. The only one who is right is God. We think we are defending the truth, but what we are actually defending is our theological position and worldview. Nobody has a perfect perspective of reality, and nobody fully knows the truth. We are not omniscient, and we all have a grid by which we interpret and evaluate life. I am not committed to my theology, and I’m certainly not committed to yours. What I am committed to is the truth. Theology is man’s attempt to systematize truth. Maybe the reader may better understand and receive an opinion of bias theology from someone outside of the Faith Movement and who is not sympathetic to it. Understand that we are all “bias” in the sense that we may embrace certain theological positions. However, all of us do not use our “bias” in the same way that the Heresy Hunter does. His intent is to discredit and perhaps destroy the ministry he opposes. Basically, the Heresy Hunter uses “Bad Scholarship” in an attempt to make those that they oppose look ignorant. If the Heresy Hunter’s presentation looks “Scholastic” and “Well Researched” while those they oppose look like “ignorant bumpkins” then most people will be deceived by this tactic. Who can refute a book with hundreds of footnotes and references to great scholastic works while those of a group like the Word-Faith teachers refer only to the Scriptures. Unfortunately, the “out of context” statements are pulled from hundreds of tapes, books, magazines, television shows, and other medium that most people are not going to buy or even can afford to buy. I have not read all of the material that these heresy hunters reference. However, I have read enough of the material by the faith teachers to know that some of the so called “scholarship” and “research” used by these people is not done in a prayerful manner. There are some out there who really believe that a person cannot interpret Scripture correctly without the help of some scholarly commentaries, dictionaries, lexicons, etc. They do not feel that the Holy Spirit is sufficient for teaching a person the true meaning of the Scriptures. A work on healing cannot ignore James 5. However, it must not merely recognize the passage and then conform it to one’s predetermined theology and/or experiences, as Deere has apparently done. Nowhere does the author attempt to deal with the text in order to answer probing questions such as, “Is the passage limited to the first century or is it applicable today? Does it apply to all humanity or just Christians? Does it extend to all Christians or just some? Is its purpose to prepare people to die or to restore people to quality living? Does it refer to physical, emotional, or spiritual problems? Is the practice to be done in a public service or privately? Does the intent involve medicinal or symbolic anointing? The Word is not going to work effectively in us if we do not receive it at face value as the Word of God for today. My Bible tells me that all Scripture is profitable (2 Tim 3:16). It tells me that all of God’s promises are yes and amen (2 Cor. 1:20). When we start having to ask questions like, “Is the passage limited to the first century or is it applicable today?” This question should not even be entertained for one moment. Yet, many feel that to not do so is anti-intellectual. As have others, this reviewer believes that Jack Deere’s work, in the main, is theologically defective. Rather than resembling a careful study by an open-minded, trained theologian, it is more like the product of an immature new convert who, after reading the gospels and Acts for the first time, concludes that what took place in the first century will continue throughout the church age. This author definitely does not seek to hide his cessationist bias. The author does not believe that the Holy Spirit, who Jesus promised to send in order to be our personal Bible teacher (John 14:26) is sufficient for teaching the pupil. The cessationist cannot find a clear argument for his theology in Scripture so he must use other “scholarly methods. Much of the same thing is done in other books criticizing various Charismatic movements. There is nothing wrong with education or scholarship, but when used the way these heresy hunters have used it to attack Word-Faith and other Charismatic ministries, then it becomes a tool of Satan. The sadducees were like that. They were equivalent to the cessationists of our day. The cessationist believe that the days of God moving in the miraculous are gone. The sadducees did not believe in a resurrection (Acts 23:8). They attempted to trap Jesus using their “scholarly” argument (Matt. 22:24-33). Jesus said that there problem was that they did not know the Scriptures or God’s power (Matt. 22:30). Such an insane theology is certainly a blasphemous libel on God. Of course, a man holding such doctrines, and the philosophy and methods that would naturally follow, would be led to oppose Finney. He, and others like him, wrote letters abroad, misrepresenting the work and poisoning the minds of prominent leaders in Massachusetts and Connecticut, A great cry and excitement was raised against “New Measures.” He wrote a pamphlet, and so also did a Unitarian. 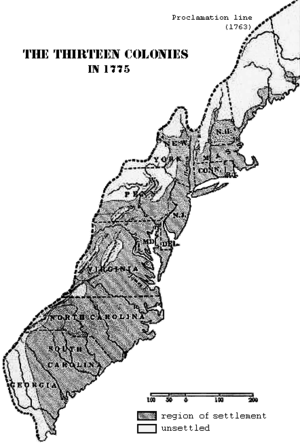 Evil reports spread far and near, until, at last, in the summer of 1827, a Convention was called to meet at New Lebanon to inquire into the nature and evils of the late revivals in Central New York. Finney was, there, and the pastors with whom he had labored. The clergymen present from the East were Dr. Lyman Beecher, then the leading revival pastor of Boston and Massachusetts; Dr. Herman Humphrey, president of Amherst College; Dr. Justin Edwards, of Andover, Mass. ; Caleb J. Tenney, of Wethersfield; and Dr. Joel Hawes, of Hartford, Conn. Upon Dr. Beecher and Asahel Nettleton was thrown the responsibility of endeavoring to check the evils that were supposed to be fostered by Finney’s work. The terrible thing is that the theologians are still persecuting Finney posthumously. I was reading in one other book about someone who wrote a book that criticizes the Keswick movement of the early part of the 20th century. According to this “scholarly” work, these men were in error. Whenever I read the works by men such as F.B. Meyer, Andrew Murray, R.A. Torrey and other Keswickians, I see a life and devotion to God that is not found in the works of those who spend their whole writing “ministry” criticizing others. Do you notice that the theology of Mr. Weeks is quite similar to that of many of those today who write and speak against the faith movement. One critic of the faith movement has stated that it is an incorrect view of God’s sovereignty that leads us to error. It amazes me how the Hyper-Calvinist view of God’s sovereignty that is often propagated as “Orthodox” is always the view that has brought “death” to so many revivals and moves of God. I wonder which view of His sovereignty does God believe is in error? Then again, may be I don’t wonder. The Bereans did not spend hours looking for holes in Paul and Sila’s teaching. The Bereans searched the Scriptures daily to if these things are so. The Heresy Hunters are looking for Scriptures to prove that what those they criticize say are not so. The Bereans received the word with readiness of mind. The Heresy Hunters receive it with a mind ready to attack. Their mind is made up that what the person is saying is wrong. This is not a readiness of mind. It goes on to say that many of them believe. The only thing the Heresy Hunter believes is that he can bring down the ministry that he is attacking. He does not believe the Bible. He only believes his theological view of the Bible. Listening to the Heresy Hunter can mean the difference between life and death for the Christian. If you desire to be miserable and joyless and to take on a critical spirit, join the heresy hunter crowd. If you desire to have life and peace, stay with the Word of God and stay away from those who make it their life’s work to criticize others. Apologetics – defense of the faith as originally presented to the Apostles and Prophets in the Bible. It is a homonym (two word that are spelled and sound alike but have different meanings) of the word we normally used to express our regret for a wrong done. Pember, G.H. Earth’s Earliest Ages (Grand Rapids, MI: Kregel Publications, 1876), p. 219 An excellent book, especially if you believe in what is known as the “Gap Theory (A long time period between Genesis chapter one verses one and two). The main purpose of the author was to explain how the false religions have managed to creep their way in since the beginning of time. In relation to George Muller, Pember is quoting from an essay from a man named A.R. Wallace, who was a well known Naturalist and author. Hux, Clete Profile: Word-Faith Movement (http://www.watchman.org) An otherwise good resource for finding information on cults, Mr. Hux shows a terrible lack of research when it comes to Word-Faith churches. Hagin, Kenneth E. Zoe: The God-Kind of Life (Tulsa, OK: Kenneth Hagin Ministries, 1989), pp. 35, 36, 41. If these statements that are quoted (and misquoted in many cases) are true then I will be the first to admit that the faith teachers have made it quite difficult to defend them. Nevertheless, the disagreements on these issues should be DOCTRINAL and the tactics that are used by some of these so called “expose” ministries are just as heretical, if not more heretical, than the off the wall statements made by my Word of Faith brethren. From http://www.letusreason.com I will be the first to admit that because I have not read every single book, listened to every single tape, or read every newsletter, or even watched every television appearance of these teachers, I am not familiar with all of their statements. Word of faith sayings compiled by Jim Fox. Spurgeon, Charles H. The Triumph of Faith in a Believer’s Life (Lynnwood, WA: Emerald Books, 1994) p. 36. Compiled and edited by Robert Hall. St. John, Stuart The “Faith” Movement May Be Prospering But Is It Healthy? (Can be found on the internet). The author in his end notes challenges his readers that are sympathetic to the Word-Faith movement to give an explanation to a statements made by Copeland and by Hagin. I may take him up on his challenge later. If anyone has a tape called “Following The Steps of Abraham (Part 1)” by Kenneth Copeland I would appreciate a copy of a complete transcript. Rev. Sun Myung Moon is the head of the Unification Church (a.k.a. The Moonies). Rev. Moon teaches that Christ did not come to earth to be crucified but to set the right ideal. However he was not recognized for who he was and was crucified. The Unification church says that in this respect Christ failed in his mission. Because of this failure God had to send a new messiah, the Rev. Moon. The Unification church also teaches that Christ did not have a body after His resurrection but that He was resurrected as a spirit. From an article titled “T.D. Jakes Accused Of Heresy For Trinity Views.” From the Charisma News Service. Posted on the internet by Maranatha Christian Journal. Mayhue, Richard L. Who Surprised Whom: The Holy Spirit Or Jack Deere (Can be found on the internet). Mayhue is a senior vice president and dean and also a professor of pastoral ministries. Hyper-Calvinism – An extreme interpretation of the writings of John Calvin never intended by this great reformer nor of his followers afterwards who developed the theological system known today as Calvinism. Term Limits and the Constitution: The Answer to Washington Corruption? Or not? Term Limits and the Constitution: The Answer to Washington Corruption? Or not?. DEFEATING the Progressive Movements agendas: IT CAN BE DONE! DEFEATING the Progressive Movements agendas: IT CAN BE DONE!. ”The mental conflict that occurs when beliefs or assumptions are contradicted by new information. What do you think? Should Obama be Impeached? What do you think? 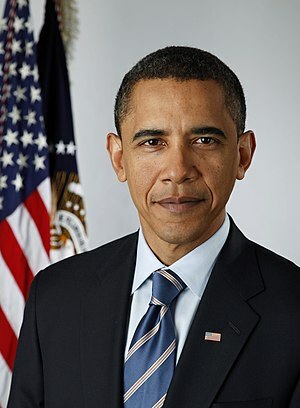 Should Obama be Impeached?. Look at the 25 clear crimes he’s committed and answer the questions!